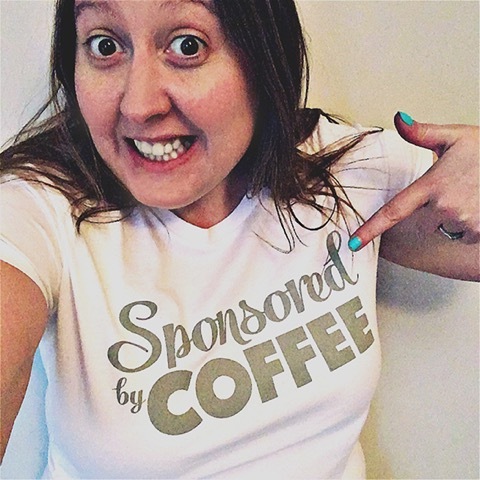 Christina Pickworth is the founder of This Mama Does - funny parenting milestone cards, greetings cards and tees, because whilst the kids need celebrating, sometimes us parents do too. Christina continues to work in the film and television industries where (she doesn't like to say, so we will) she's a pretty big deal. CP: So far I have absolutely never got this right! Lately I have been trying to make small changes, and have been clinging to the idea of “do more by doing less” as that sounds like the dream really! I’m trying to be less scattergun and more focused in what I’m doing. I’m not sure if it’s making any difference in terms of results, but I am feeling better for it! &B: Have the This Mama Does cards been the key to your professional life balance (and keeping sane) since having kids? CP: Honestly no, they’ve really screwed up the work/life balance! I have two other jobs as well so the juggle is real! BUT they’ve made a huge difference in keeping me sane. Before starting THIS MAMA DOES I felt incredibly lonely in my motherhood experience and I was really struggling with it all. The cards, and now the t-shirts too, have helped me appreciate the ordinary moments of motherhood, as much as the special ones. &B: What do you hope to teach or pass on to your child(ren) by the way you live your life and your mission with This Mama Does? CP: That perfection isn’t real and isn’t something to chase - in fact there is much more beauty and laughter in the flaws, and there’s so much about life which you can share with others. So many experiences are special because they are ordinary, and shared. There is magic in the every day if you look for it. CP: Other than legging it after my children when they make a break for it (which is pretty often), this is hard for me because my kids are also sleeptwats so I’m permanently exhausted and those exercise endorphins you’re supposed to get seem to have skipped me! But I have recently joined a gym and just downloaded the Dirty Pukka and The Hotbed Collective podcasts as something to listen to while I’m there and I am hoping they will make it a bit more fun! FT: I am very lucky to have a father-in-law with three allotments who keeps us well stocked with fruit and veg! CP: Cook. It’s really the only thing which completely relaxes me because I get totally absorbed in what I’m doing and my head clears. And then you get to eat something amazing at the end which is a bonus! CP: Listen to yourself and what you need. Maybe it’s the same thing as your friends, maybe it’s something completely different. Find your own happy.